Masquerading under various names, the Bishop's Cap Chilli (Christmas Bell, Peri Peri, Joker's Hat) holds a special place in our garden: it is highly ornamental and very useful. Under ideal conditions the plant can grow over one metre 50 in height. In fact, one of our seedling plants has looped over our one metre 80 back fence this season. However, as the spectacular display of green and red 'flying saucers' develop, the willowy branches of the shrub will bend to a lower height. The plant is easy-care, with some judicious pruning when the danger of frost has passed, moderate fertilising during the spring months and some extra irrigation during dry times. The biggest challenge with this chilli is warding off attacks by fruit fly. With a Cera Trap located close to our Bishop's Caps, we have enjoyed a successful harvest of tasty treats this recent summer and autumn. In the kitchen this is an adaptable chilli. We use it for colour in rice, noodle and vegetable dishes. 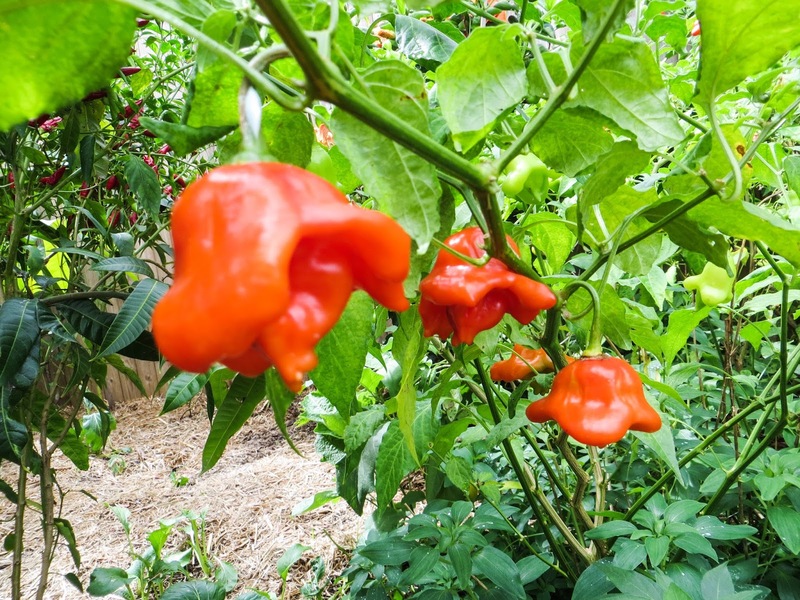 As a substitute for capsicum, simply by removing the seeds, the Bishop's Cap holds a very mild heat. It fact the wings are rather crisp and sweet.